The Female Founder Workshop was designed to create an environment that brings women of different minds and passions together in one place as we support one another in our business & philanthropy endeavors, encouraging partnership that builds bridges for success. The Women’s Leadership & Co-Working workshop on October 14, 2017 was created, in partnership with PublicUs, offering a communal environment for women to come together and exchange ideas, share business tips and engage in positive conversation to spur creativity and leadership. 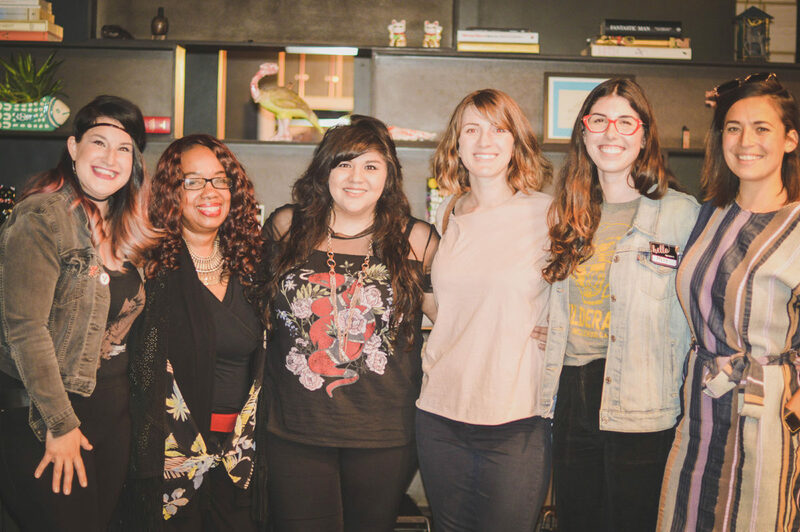 Thank you to our panelists, Dr. Vicki Coleman, Molly Higgins, Jennifer Taler, Joy Hoover, and Ashley Ayala., for sharing their knowledge and advice on achieving entrepreneurialism with the perfect dose of girl power. Thank you to our local maker community for sharing your beautiful creations. To the PublicUs & Group Hug team, thank you for so warmly opening your doors in support of our event and providing a space to connect through our shared love of art and collaboration. Finally, to everyone who joined us in celebration of yourself and your dreams. You’re not alone and we’re here to help! See you at the next one, Femmies! Video courtesy of Gina Joy. Photos courtesy of Raven Shot Photography and Charlie Noble.